General Admission Bettys are $15 (you can buy them here), but a limited number of VIP tickets are available for $25 (includes a primo reserved seat and a polaroid photo w/ Brigham to take home!) – email moviesthatshouldbemusicals@gmail.com to reserve. 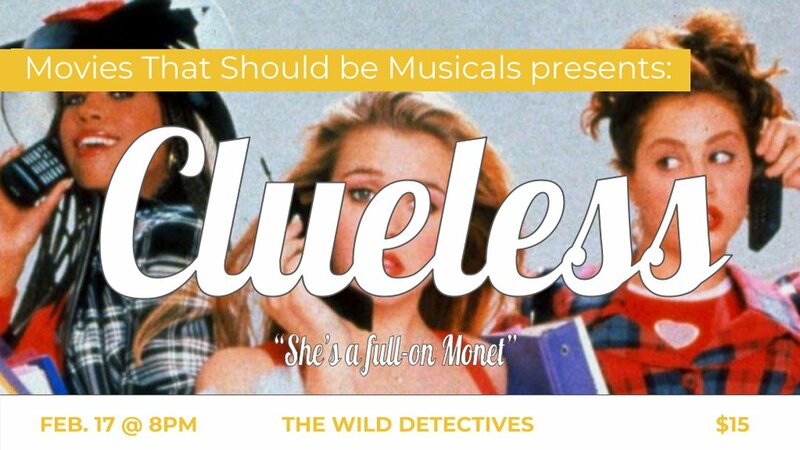 Movies That Should Be Musicals is a one-of-a-kind night of live music, dance, and ir/reverent commentary. Along with professional dancers and a live band, performer Brigham Mosley constructs an entirely original (off-off-off-off) Broadway production out of cult-classic films.